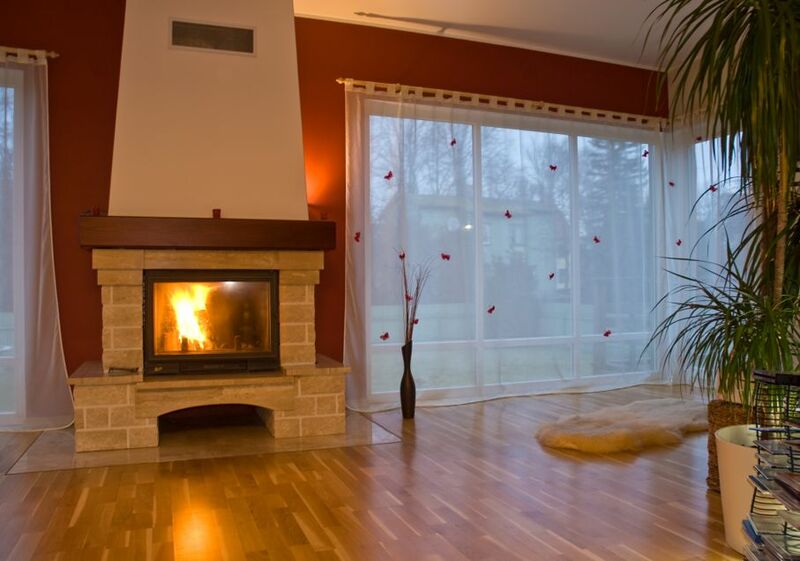 Your fireplace can be the centerpiece of your home. Real estate agents know the truth: buyers love a fireplace! While this is great news if you’re selling your home and have a fireplace in it, it can be a downer when you plunk down at night and realize that your 1980s-era fireplace really needs a do-over. The focal point of your living room or bedroom deserves to look amazing, so take some time this weekend to try out a few straightforward ideas for giving you the fireplace of your dreams. If your television is over your fireplace, as many are these days, then you’ve got some added drama with assuring that all of the electronics cords are handled appropriately and kept out of the direct line of heat from the fireplace. Keeping all of these considerations in mind can be a bit challenging, but even if you make a small tweak, it can add up to a big change in the way you feel about your ho-hum fireplace. If your fireplace is stuck in the ‘80s (or worse yet, in the 1950s! ), don’t be afraid to do something radical to bring things up to date. With heavy and dark brick being the order of the day for many years, there are fireplaces throughout the country that are suffering from this look. Updating the fireplace can really make a difference throughout the home as the fireplace is often the focal point for much of the house. White fireplaces were also big for many years, with the white surround melding straight into a light colored wall so the fireplace has no color and simply disappears. 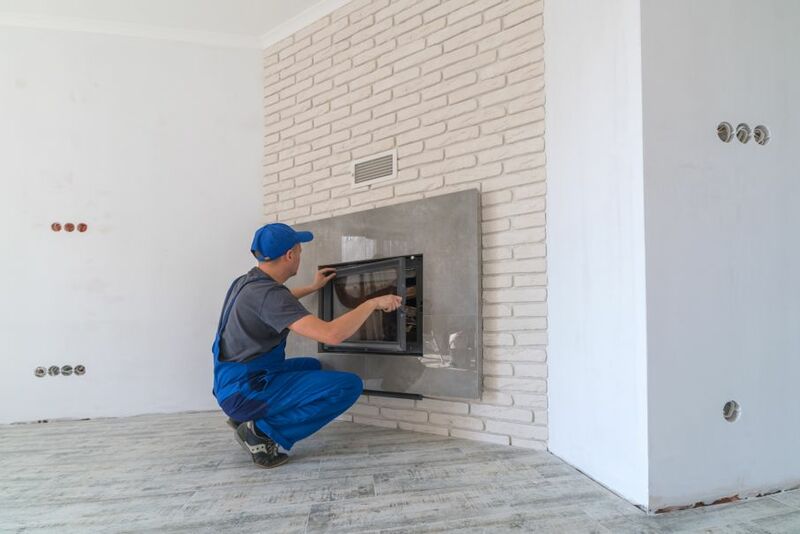 If there are structural problems with the fireplace, have it checked out by a licensed contractor first to ensure that it is safe to work on. 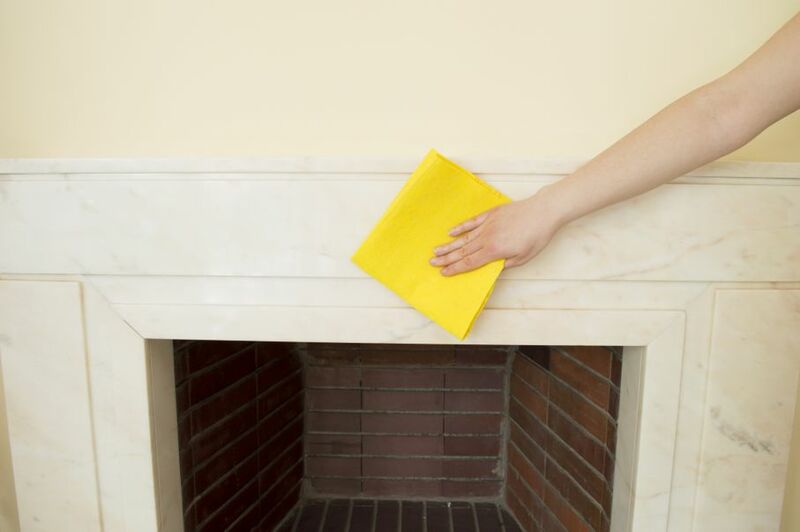 If you’re lucky enough to have a brick fireplace that still looks good and is highly functional, one of the easier ways to bring it up to date is simply to paint the brick mantel and surround either white or another light color. For most rooms, you should stay away from darker colors unless you need them as contrast as it can make your room feel too heavy. The different textures of the brick can add a great deal of interest to your room and to your fireplace, especially when painted. If you need a quick and easy pick-me-up, paint is definitely the way to go. 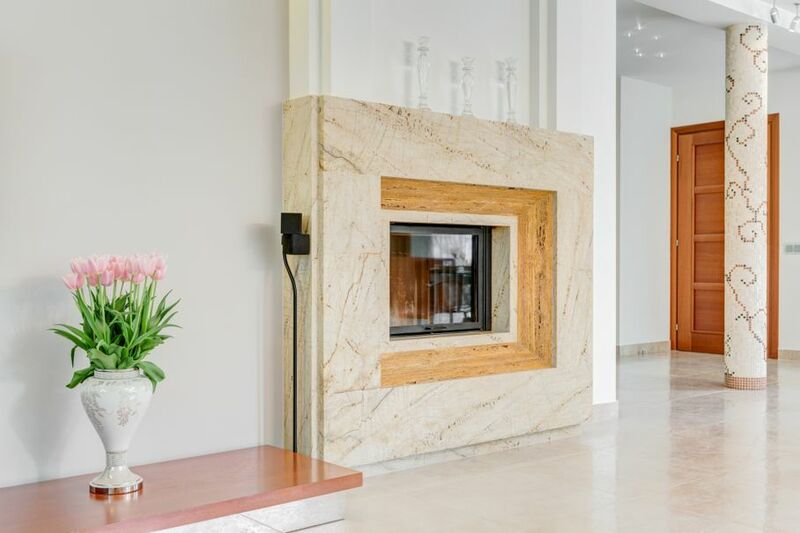 If there are color schemes or materials that are used throughout the home, such as natural stone, specific shades of wood or other recognizable materials, consider mirroring them in your fireplace upgrade. There are faux stone fronts and individual stones that you can purchase for a reasonable price to either replace or cover the boring brick or wood of your current fireplace and mantel. Sandstone is also a popular choice for fireplaces, as is marble , although marble may be a bit pricey. If your fireplace is placed in such a way that it will be visible from several different rooms in your home, think about it as a way to help the rooms flow together in a cohesive fashion and pull in design elements from several rooms. There are stunning older fireplaces that simply need a little brush-up to get them up to snuff. One example would be a heavy and dark stone fireplace - fireplaces which often included darker stones that went all the way from the floor to the ceiling. This look can be pretty overwhelming in a smaller room, so to combat that style while maintaining the lovely look of the natural stones, consider having the stones professionally cleaned and etched - which would be much cheaper than pulling out the stones and replacing them with a different material. Many fireplaces have a fair bit of storage around them in the form of cabinets, drawers or shelving, but if your fireplace is on a blank wall with a great deal of extra space around it, consider adding some storage solutions. 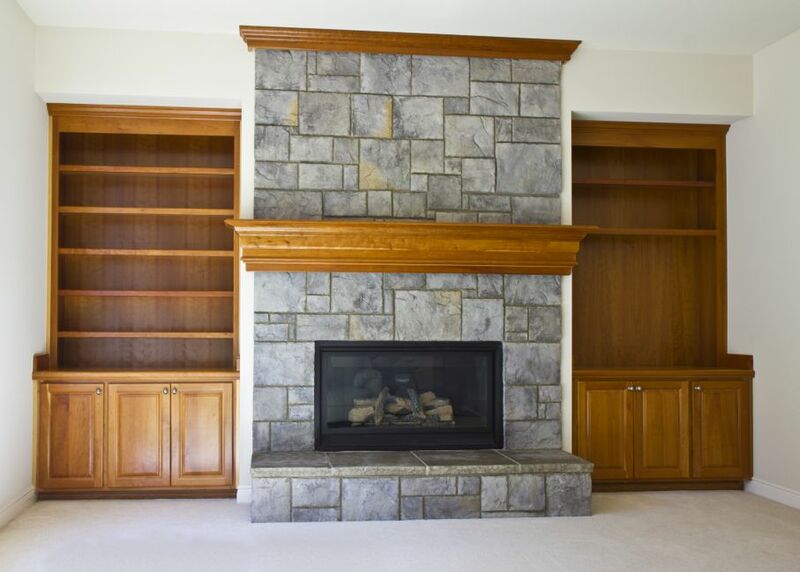 The right storage shelves around a fireplace can add interest and style, while also offering a great place to keep extra books, electronics, family pictures and albums or treasures. When you’re looking at shelving, less is more because too many shelves can make your room feel smaller and more cluttered. Keeping shelves with plenty of space between them allows them to feel much more airy and spacious. Pre-made mantels are relatively inexpensive, and can really make a big difference in the look of your fireplace and of the room overall. Mantels come in a variety of different sizes, colors and shapes, and will allow you the flexibility of changing up the room without a big expenditure. 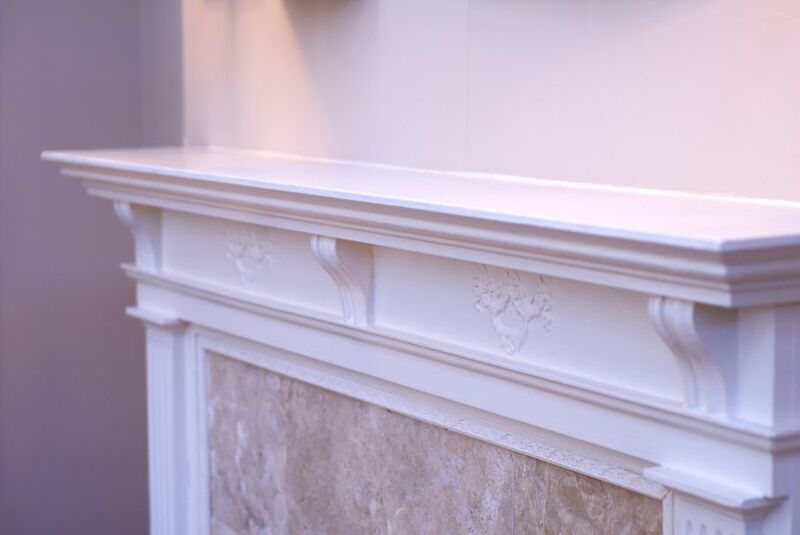 Even better - you will be able to install most mantels yourself, without having to call in a contractor or the gas company if you have a gas fireplace. No matter what you decide to do with your fireplace this weekend, know that small changes in your room can make a big difference in the overall feel of your home. Don’t be afraid to try something new. If you hate it, you can always change it again in a few months! Who knows, you may end up with a fireplace that really brings your rooms together and offers you additional storage space as a bonus.